FAMILY FUN AT ITS BEST! 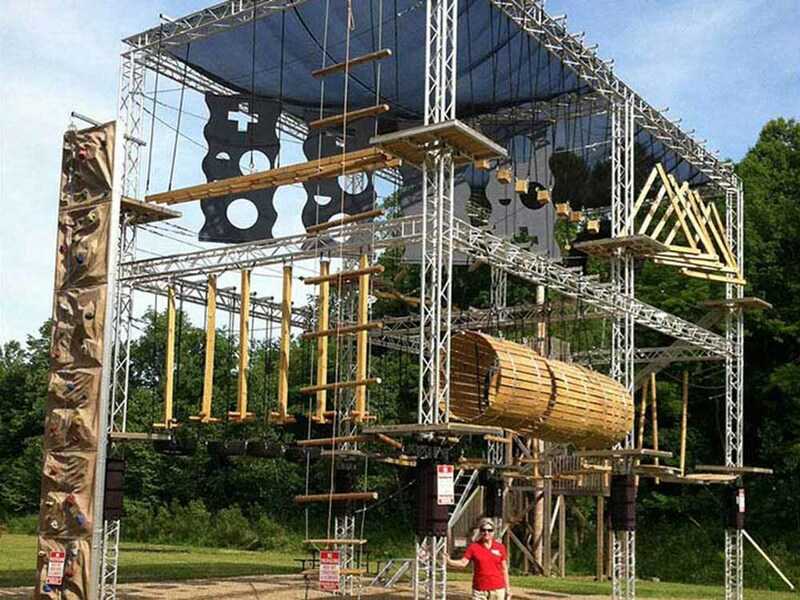 Challenge course zipline, laser tag, sprayground, sand volleyball. Mini golf and snack bar. Weekend entertainment. Gem mining, a critter catching creek and a 3rd new playground. A place where kids of all ages have fun! This is a great campground, especially for families. There are many activities at and near the campground. Each weekend in October has a special theme geared towards Halloween with contests for best costume, campsite decor, etc. There are also events for all the children, many divided by age group. The staff is outstanding, very friendly and helpful. I booked for one week and am staying for at least three. Even though the summer amenities such as pools are closed for the season, it is still an excellent place to stay. Without a doubt, I will return. Very family oriented, but when 2 adults are looking for a quiet relaxing end of season weekend and they put you in a site smack dab in the middle of all the kid stuff it’s noisy. This is a nice campground but wish they would let you pick you own site especially if you don’t care about kid activities. Will return. This is NOT the place for you if you require internet. The Wifi network is marginally acceptable, but it is routed to a very narrow bandwidth internet connection (.03 Mbps). The park is only about 25% full at the moment yet it required >10 minutes just to load the GoodSam page so I could post this review. Great place for families and the sites are roomy, but if you need to do e-mail or use the web then this won't work for you! Since they are charging for internet access one would think they might channel some of that revenue back into improving their connectivity! Very nice pull thru site with shade and room to park. Park employees were very friendly and helpful. The camp store had just about anything you could want. No restrooms in the section of the campground we stayed in. Looks like they were in the process of building them. Water pressure was almost nonexistent and hot water was iffy in showers. Swimming pool is nice, but chaotic due to foolish acting adults. If you are camping with kids, this place is on point. For an adult couple looking for a quiet and relaxing stay, you will be disappointed. This was a Halloween weekend and our second stay of the year. There are a ton of activities for kids, not just the obstacle course and zip line. The campground is quiet and relaxing for adults. We had a corner spot with a lot of room. Some of the sites are a little crowded though. The staff is friendly, fun, and a real pleasure. We will definitely be staying here again. We stayed in June, loved it so much back in July. The staff is very friendly. There is so much to do for kids, adults, and pets. They are very pet friendly. Spotless laundry area, and a wonderful dog park. I have never seen any staff member in a bad mood. There is also a zip line, crafts, activities, hay rides, laser tag. There is so much to do and it is also peaceful and relaxing. Someone actually takes you to your lot, helps guide you in, and makes sure you are good to set up.I can't say enough good things about this campground. Hope you love it too.